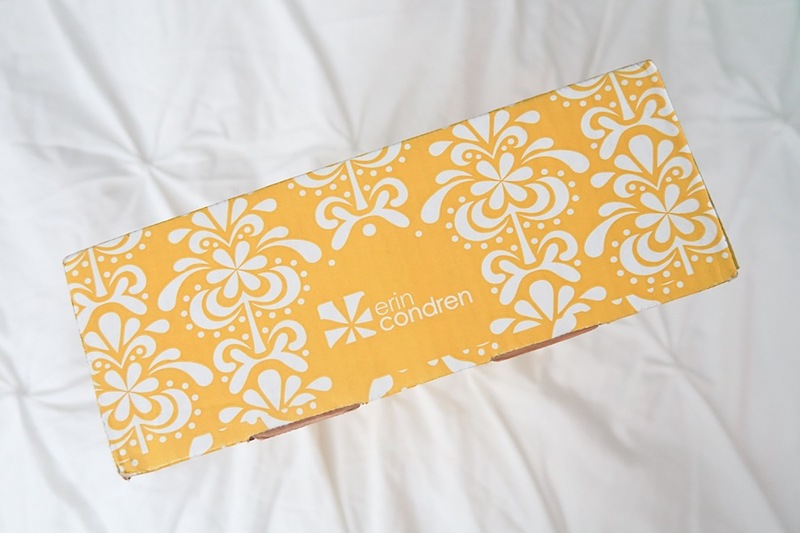 Read/scroll on if you’d like to see the Erin Condren packaging and LifePlanner unboxed and also get a look at what the vertical and neutral layout looks like on the inside. I love how colorful the Erin Condren boxes are. It’s definitely fun to see this package arrive. Erin Condren always does a stellar job with their packaging. It’s both pretty and functional. Just like their Planners. All the items were carefully secured so they weren’t damaged during mailing. The top 3 notebooks had a little sleeve of plastic keeping them tightly stacked. Bubble wrap covered the bottom and wrapped up to the top of the order. And here’s the full spread of what I ordered this year. I went on a bit of a shopping spree, and it’s all thanks to you. So many of you used my referral link (which gets both of us a credit for Erin Condren orders), I was able to get all of this with just credits. 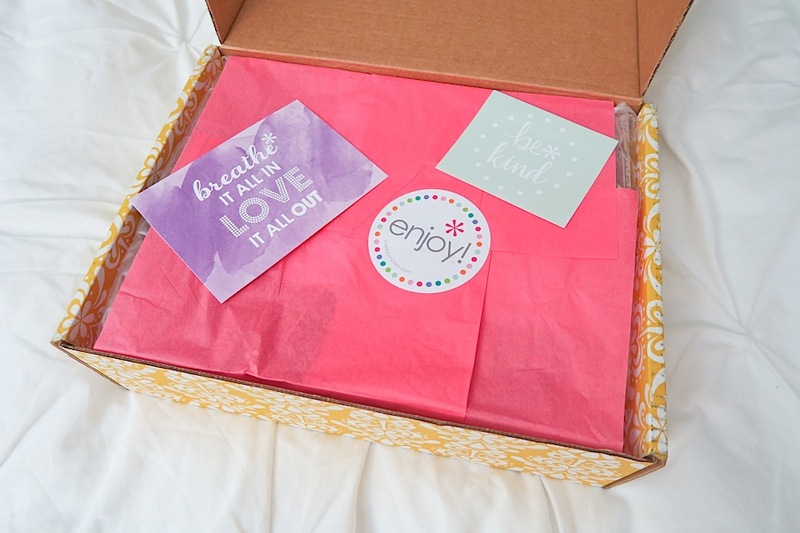 I love being able to provide the content of The Chic Life free, but it’s definitely a nice perk when I can get some fun goodies too. Thank you again! 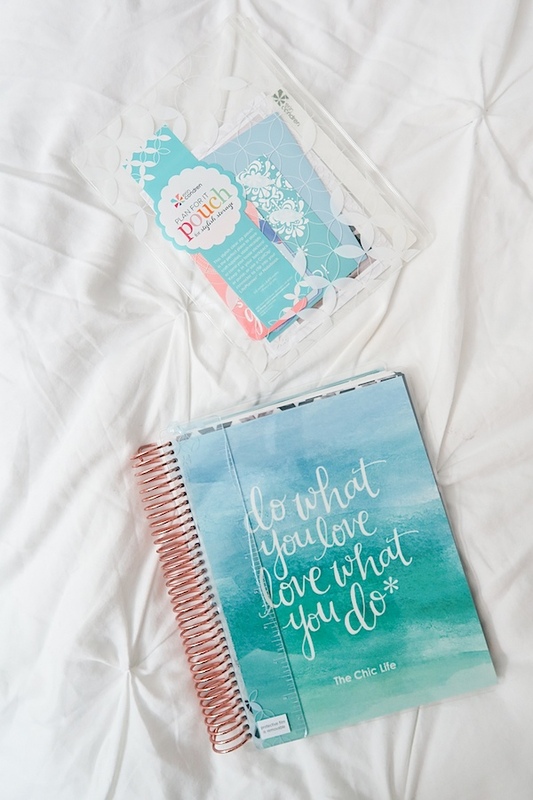 I’m feeling the planner love! It’s been interesting to see how the planner changes from year to year. 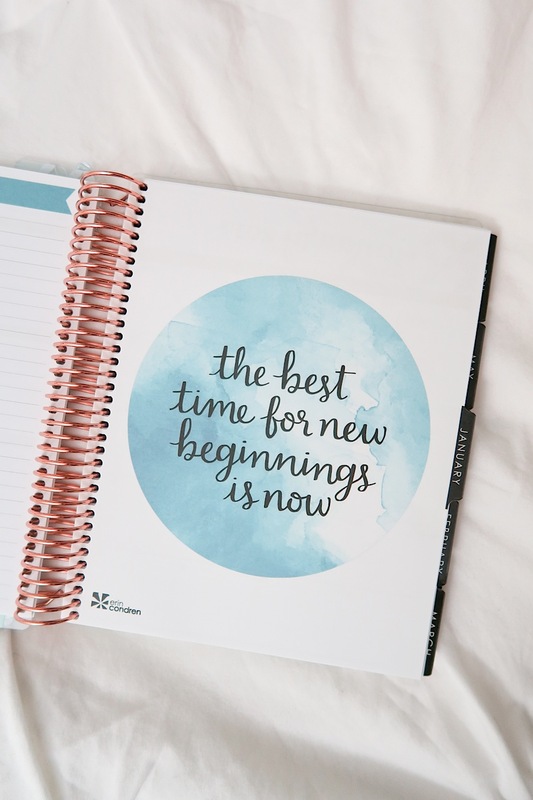 Especially since I’ve been using the LifePlanner for so many years. I never thought to blog about the differences, but I’ve found myself wondering when some changes happened. So, no time like the present to begin documenting the changes. The planner is relatively large for carrying day-to-day (for me, at least). So, I don’t mind having the option of taking things out. I’ve actually thought about removing the pouch in previous years. The neutral color way features black month tabs. I like how the tabs look very uniform since they’re all the same color. The planner isn’t only black and white inside. 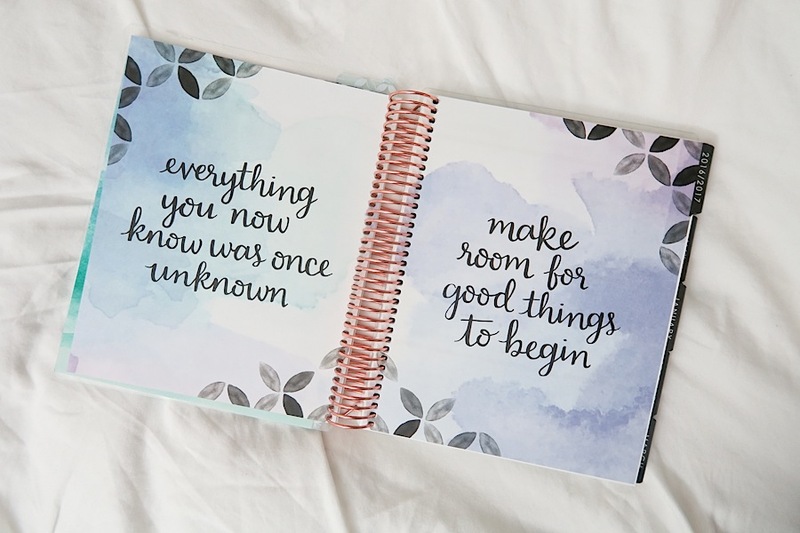 There’s a little color on the first page in the logo and LifePlanner wording in standard Erin Condren colors. These quote pages have a light colored background. I wasn’t immediately sure what the above section was for. 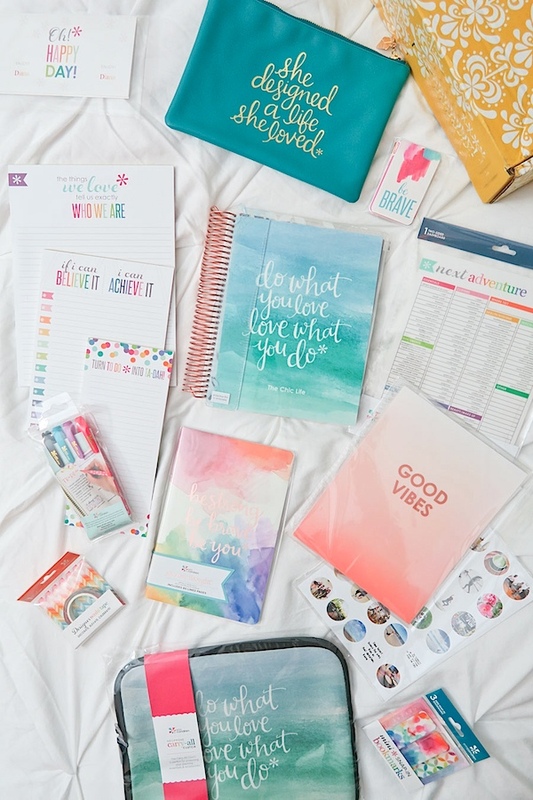 But I checked the Erin Condren web site, and this is called the “Goal Setting” section. There are also quotes on each month tab page with colored backgrounds. The month layout is full on neutral. But the weekly layouts have a wee bit of color. Note the little page flag shapes in the top left and right of the page. And then the horizontal page flag at the top of the list section on the lefthand side. The colors vary month to month. For example: January is a light turquoise. 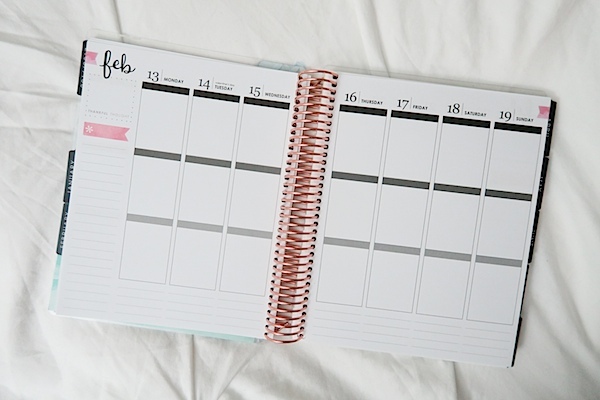 February is pink. Etc. I haven’t seen the inside of the hourly or horizontal layouts, so I’m not sure about those. But, you could probably find some good Plan with Me videos on YouTube if you want to get a good look. 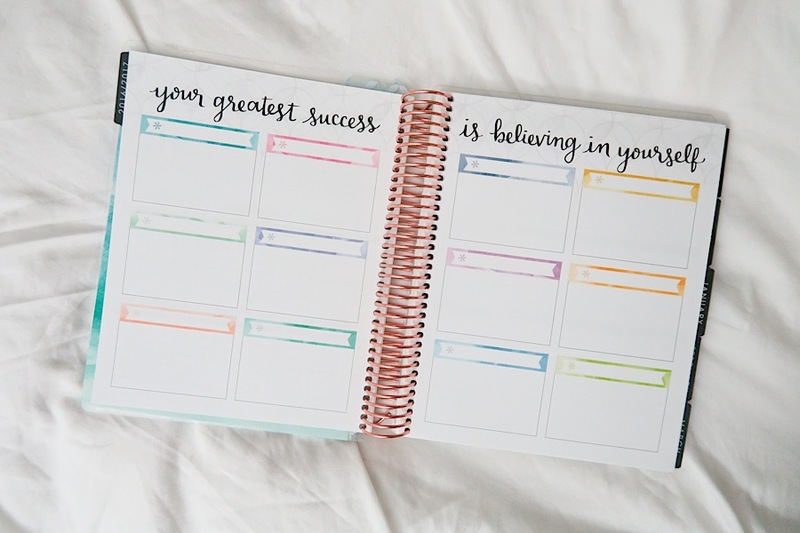 While I love wearing black and white, I like having color in my planner. My hope with the neutrals is that I have a little more flexibility with which colors I use week-to-week and month-to-month. With past years, I tried to match the existing color scheme. So now I have a nice neutral base to begin with. While I’m not going to post every layout this year, I definitely plan to share some here and there. And I’ll let you know my thoughts on using the neutral color way. Honestly, my layout strategy is pretty much the same these days, so you can get an idea of how I decorate using the links on this Planner Decoration Ideas page. While I’ve used the LifePlanner for years, I haven’t varied my order very much. I’ve ordered extra covers in past years, but I usually forget to switch them. Hoping to remember this year. The good thing is, you can switch the covers from year to year, so now I have even more options. Upside? Lol! New to planning? 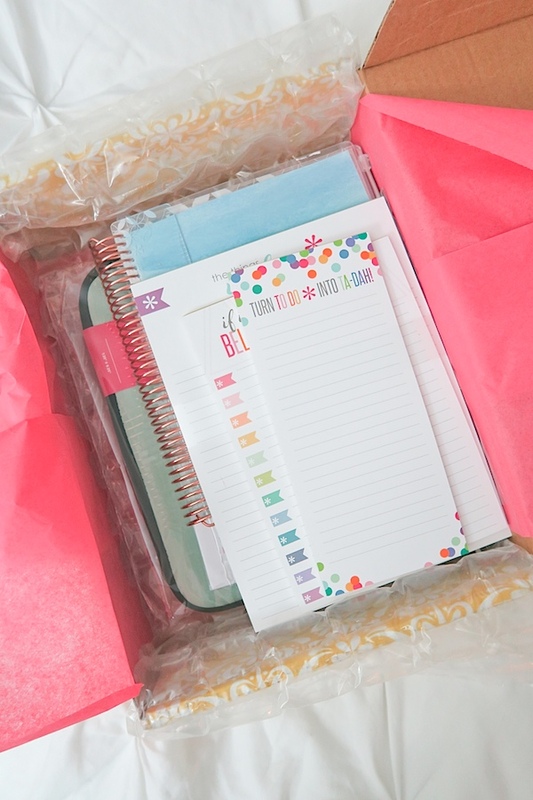 Get my list of Top 5 Essential Planner Supplies here. View my planner-related blog posts by clicking here. 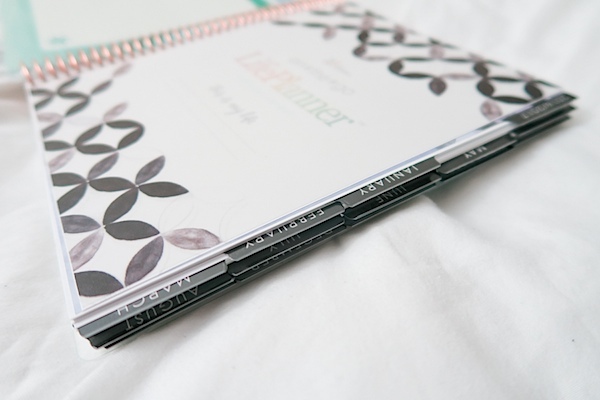 Get to tutorials, photos of my planner decorations, and more on my main Planner page here. 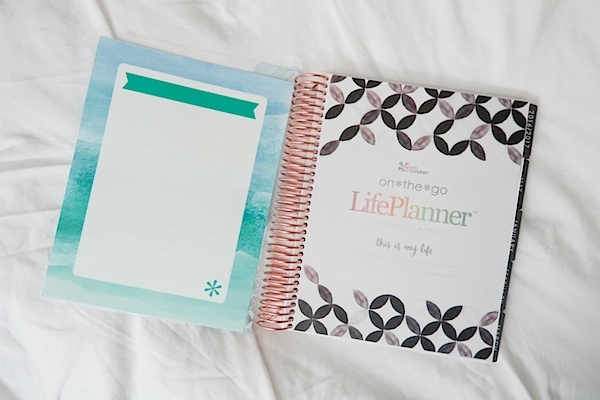 Do you use the Erin Condren Life Planner? What did you order? How do you like it? 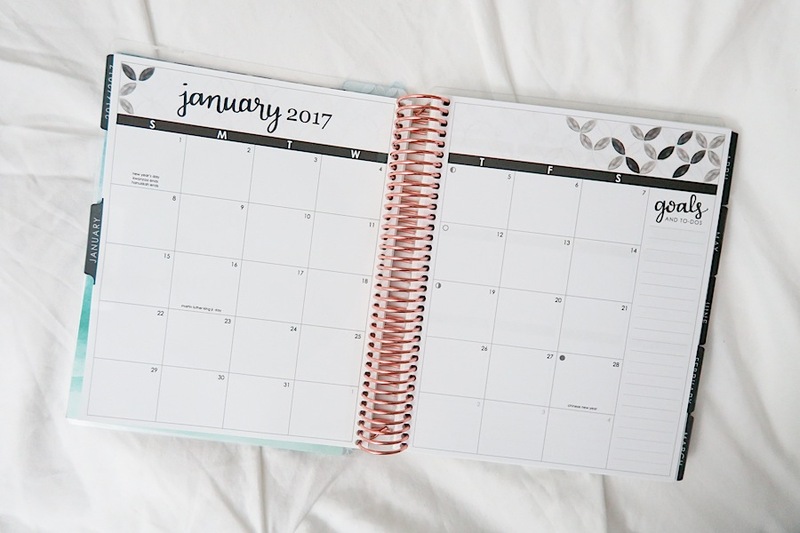 I had an 18month life planner for 2015.2016 but rarely used it as I felt it was too big to take out with me but for my birthday (it was earlier this month) I bought myself another Life Planner to try out as I need to keep track of work and family life and to do lists. My current planner is small, cute but small and I can’t fit everything in that I need to. I’m hoping this year I’ll stick with it. I love that you can customise them and I love the vertical layout and the three boxes as I can split them into sections of my life. I’m enjoying looking at your past layouts and looking at your haul for this year. I’m excited to try out the dry wipe pens and use the dashboard on the inside of the covers. Brilliant idea. Look forward to more of your planning post.